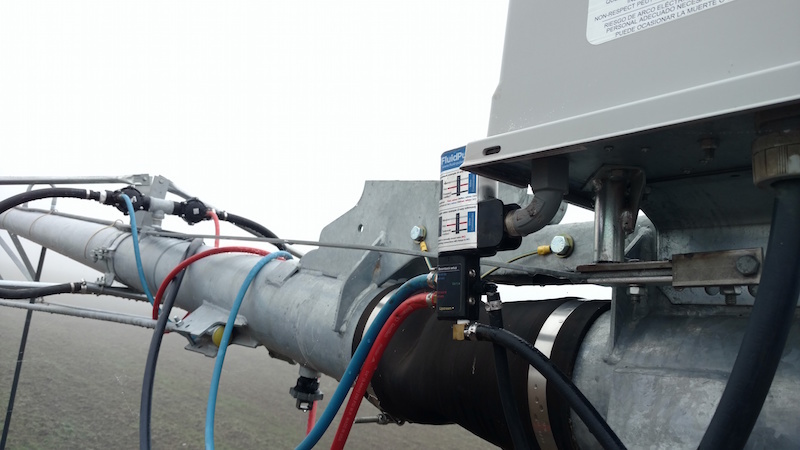 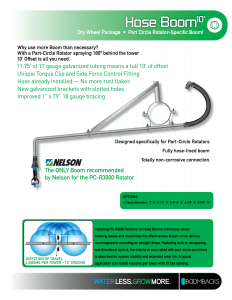 Installing PC-R3000 Rotators on Hose Booms minimizes wheel tracking. 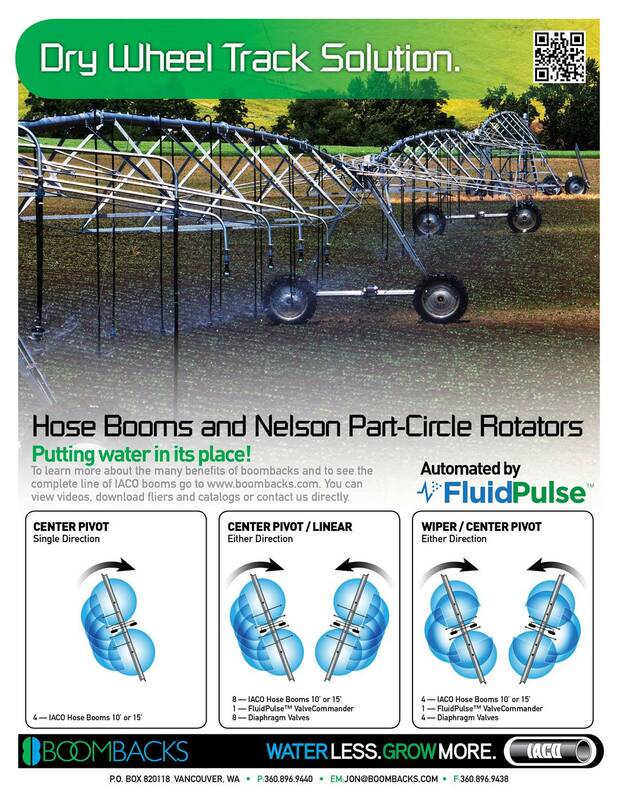 The side force associated with part-circle sprinklers is absorbed for system stability and extended wear life. 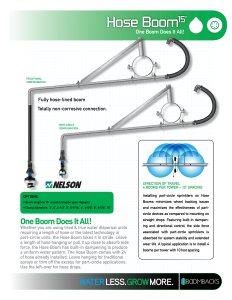 Install 4 Hose Booms™ per tower 10’ spacing. 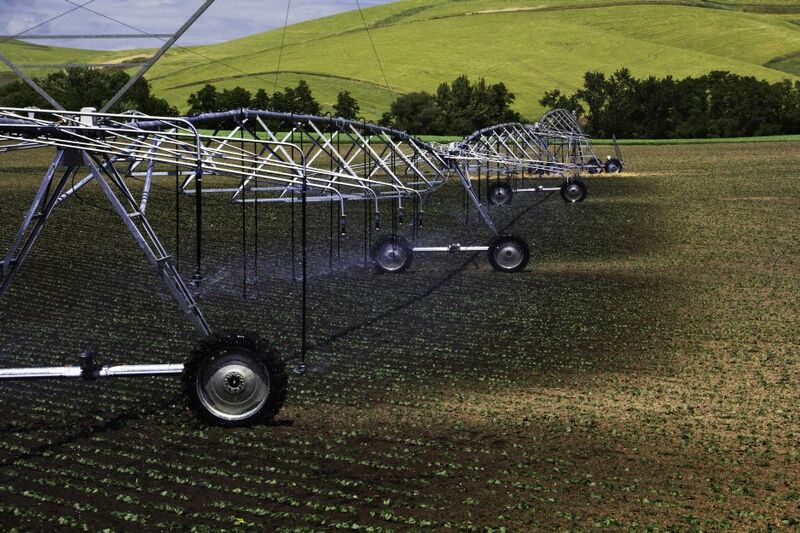 Drive dry, reduce ruts and stop getting stuck. 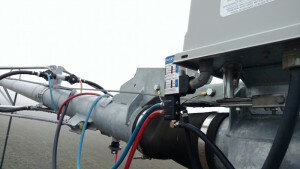 The first latching solenoid on the market. 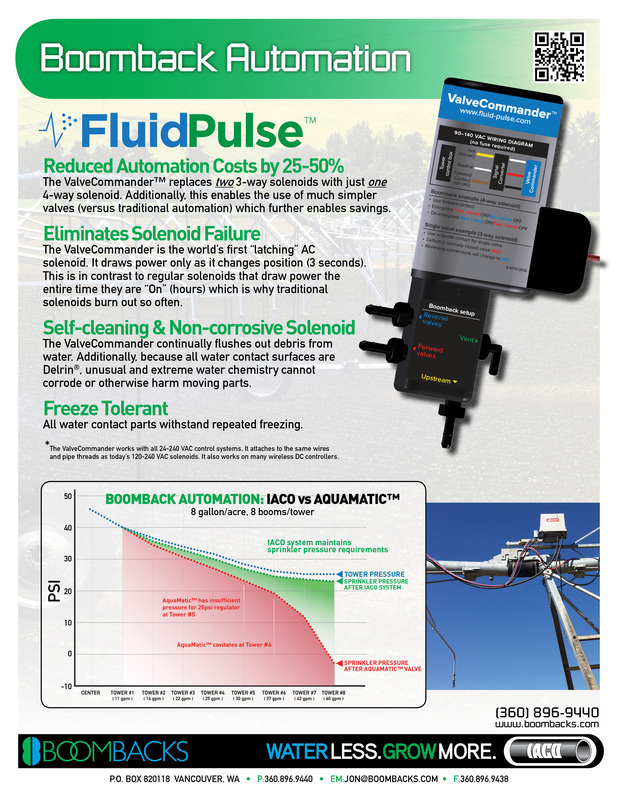 Click on the fliers or pictures to see and learn more. 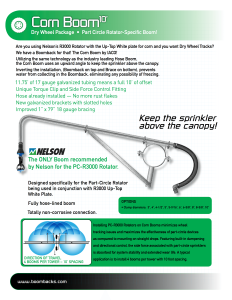 Now you can have a Dry Wheel Track Solution on Part Circle Pivots (Wipers) and Linears.